Lash Primers Review | Are They Worth the Hype? If a makeup or beauty product is going to make my life more beautiful they I’ll use it, whether it means an extra step or not. But some makeup products are just unnecessary. 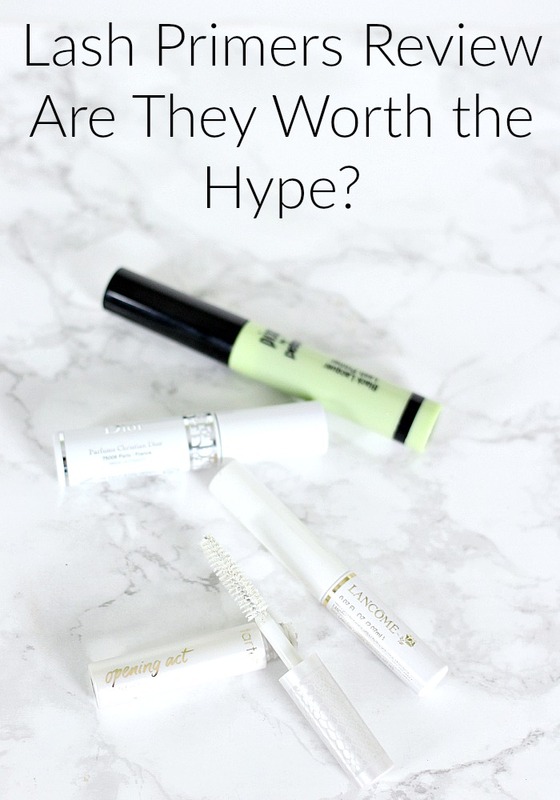 So I decided to test, side by side, several lash primers to give you this Lash Primers Review and find out once and for all if they really are worth the hype…. I also have reviews of my brighteners here, concealers here, neutralizers, primers, powders, setting sprays, foundation brushes, blushes, highlighters, bronzers, brows, waterline liners, eye pencils, liquid liner, drugstore mascara, high end mascara, liquid lipsticks, Pore Minimizing Primers, Illuminators, stick foundations, & powder foundations.